Where does UX knowledge come from? UX is such a great field to be a part of isn’t it? I’m constantly being told how awesome my job is, and thinking it to. I also, however, find myself thinking that I know so little about the vast array of items and activities that encompass the UX realm (I know this sounds crazy, but roll with me for a minute). I personally think that I need to read every new book and blog post, attend every conference, and listen to every podcast in order to just fit in and be in the know. While the ability and motivation to continually learn in any profession is something I agree with, support, and advocate for, the problem comes in when I realize I simply can’t learn everything and retain it all. 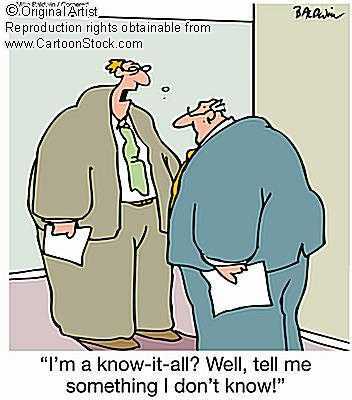 Thus, I feel defeated because I know it’s just not humanly possible to “know it all”. And if I’m feeling this way, I’m sure that there are others of us that are going through the same thing. So, in order to solve this issue of anxiety and lack of self confidence, I decided to look at those around me that I admire and esteem to be like and try to see how they improve themselves, as well as what they were doing to be successful. Were they just smarter than me, better than me, have more opportunity that me, or did I need to go back and get some sort of masters’ degree or formal education component. Why wasn’t I as “good” as these people? What I found was both fascinating and very helpful in getting me to realize anyone’s potential staying power in this industry. Although I learned minor tips and tricks, the main take away was clear: Experience in the field, learning from it, and evolving one’s work around it is key to success… that is where the real UX knowledge comes from. Let me take a moment to explain further. The biggest lesson to me, was that one can read all they want, listen all they want, discuss and argue all they want, but if they aren’t internalizing and learning from their career experiences, then they aren’t progressing in the most impactful way possible. By really paying attention to, absorbing, learning from and adapting to the experiences one is having, one can become much more informed. This is because the knowledge and experience comes from inside of them… it has been truly absorbed. It’s not just that if A happens, than I should do B because that book told me, it’s if A happens I know I should do B because it’s worked for me in the past AND the book told me something similar that I have adjusted to meet my personal needs. Further, it’s not just book smarts, but that gut feel that we’ve talked about before. Put simply we learn through past experiences much more than we learn through study, and putting the two together can make us unstoppable career forces. Thus, it’s not just that these people were smart, but that they had a TON of experience in the field, experience that they put to good use, and experience that they took advantage of and cultivated. This was great news, because that is something that we can all do too! Thus, is has become clear to me that it’s not just about external learnings like books, conferences, etc that make us great UXers… that is not the only place the UX knowledge comes from. It is about the lessons we learn over time, internalizing them in order to become more knowledgeable and adapting them to the work we do. This will make us more confident in who we are as UX professionals, and will also enable us to concentrate our external learning experiences into the ones that we truly value and genuinely want to know more about (i.e. I’m building a new iPad publisher application and this podcast is perfect for that, as opposed to I have to listen to all of these podcasts in order to be “in the know”). Internalize the knowledge you gain, and the answers, or at least the start of the answers, will come from the inside thus boosting your confidence, and ability to be the best UXer you can be. Another thought provoking post, Lis, thanks!nnYou’re describing using the user-centered design skillset on our clients and sponsors as well as on behalf of end users. I believe that’s also the best way to help organizations evolve, but requires lots and lots of patience, as well as the ability to see situations from multiple dimensions simultaneously.nnI’ve got the multiple perspectives thing down – that is key to the IA mindset. Still working on the patience, though that’s getting easier with age and experience – my own perspective needed maturing, I guess.nnAnd paradoxically, the softer, slower influence gets the clients ahead faster. I have to relearn that occasionally. It’s easy for me to say, since I am at a point where I trade on my experience as an asset, but also having traversed different careers, I feel confident saying that on-the-job experience is critical within the user experience profession – probably more so than in individual specialties.nnWhen I went through a period where I was strictly a graphic designer I could see that there is a ‘talent’ factor that can help short-cut experience needed in ascending through the ranks. Generalizing, graphic design is a specialty, a domain. User Experience is a conglomeration of domains. The interdependencies reduces the ‘talent’ factor that allows industry leapfrogging.nnWhile there are qualities (or ‘talent’) that people have that will make them more successful in user experience (empathy and the ability for synthesis being two critical ones), and help them ascend faster – actual ‘experience’ is critical because what we do is expose ourselves to situations – the lessons learned to which you refer. nnAs a whole, we tackle solutions that have quite a bit of ambiguity – many things that simply haven’t even been done yet. Our skill and talent doesn’t come from knowing that answer, but from navigating the ambiguity, framing a problem, and defining the best route to tackle the problem – our path to arriving at the answers. Experience to previous ‘problems’ is critical – at worst just beneficial – to this process.nnWhen we are not able to conduct research or gather information to synthesize to help define a solution, we depend on heuristics. Heuristics “refers to EXPERIENCE-based techniques for problem solving, learning, and discovery” (per a quick wikipedia lookup for the sake of this comment, emphasis mine). Right there, when we aren’t gaining ‘experience’ in a first hand (primary research/exposure), we are depending on previous precedent – previous experience – to inform us. We aren’t just designing experiences (if one can be designed, separate discussion) – but that ‘user experience’ can refer to our singular (you as an individual) or collective (heuristic) experience WITH users – exposed to users, or exposed to the interaction, content, design problems that they present us. nnThis might change as user experience, and specialties like interaction design, become areas that have degrees and curricula that can better prepare for an actual ‘career’. But currently, few people in our profession came into it with a plan out of college to pursue experience design. So the body of practical knowledge resides in the experience we accumulate having been exposed to many projects, many users in many situations.nnFor me, I’ve learned from a few successes, and many failures since I started doing this (or something similar to this) in 1996. I have, thus, developed my own heuristic lexicon that hopefully means I will now have more successes than failures. 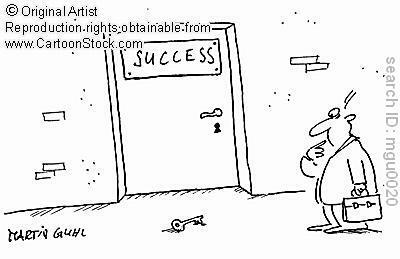 As a Project/Program Manager, I find the biggest key to success is to tell myself every day that I’m not the expert. I observe, give opinions, facilitate, track issues, and ensure there is accountability. But I’m not the one designing the system or determining requirements. I think in some ways UX is a parallel. Looking at things with an open mind and coming up with ways to interpret business requirements and perhaps improve them. Great insights! I completely agree. Leave a Reply to A.Nonymous Click here to cancel reply.